Windsor Police are searching for a suspect after two men were assaulted and robbed downtown early this morning. At 3:05 a.m. on Wednesday, June 1, 2011, uniformed WPS officers attended the intersection of Wyandotte St. E. at Windsor Ave. for a report of a robbery. Upon arrival, officers were met by two men aged 41 and 53 years respectively. The 41 year old was bleeding from his nose. 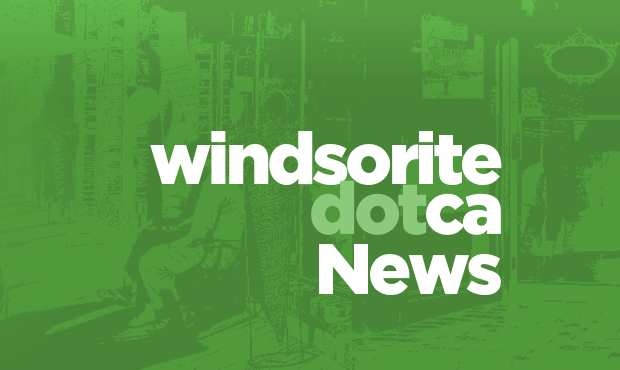 The two men advised officers that they had been walking westbound on the north sidewalk of Wyandotte St. E at Windsor Ave. when they were approached from behind by a man who pushed both victims down to the ground and then punched the 41 year old man in the nose causing the above mentioned injury. The suspect then reached into the pockets of both victims and removed a quantity of cash. The suspect then ran from the area southbound in the alley east of Goyeau St. from Wyandotte St. The 53 year old victim was transported to Hotel Dieu Hospital where he was treated and released for minor injuries he received when he was pushed down. The 41 year old victim did not require medical treatment. The suspect is described as a male, possibly of Hispanic or Native descent, early 30’s in age, 5’9″, medium build and 170 lbs. He had shoulder length “bushy” hair and had a baseball cap on backward. He was wearing a long sleeve black shirt with white writing on the front and khaki shorts. Anyone with any information regarding this robbery is asked to call Windsor Police Investigations at 519-255-6700 ext 4830 or anonymously to Crime Stoppers at 519-258-TIPS(8477).